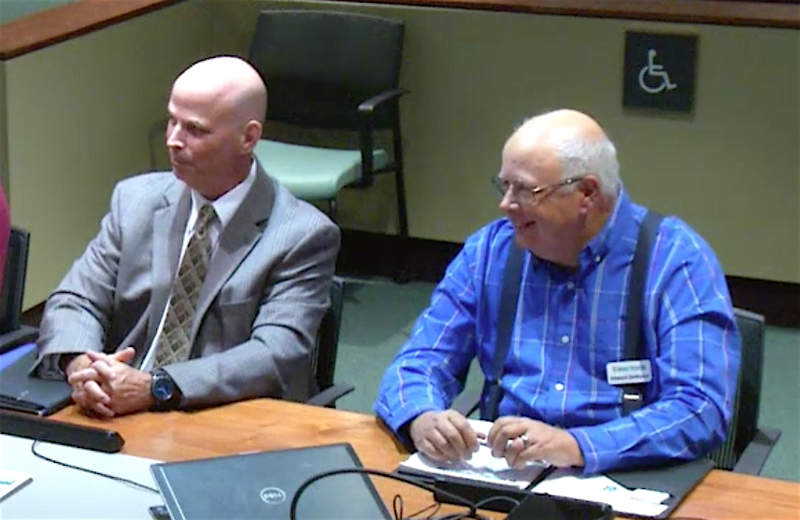 Addressing the City Commission during its April 1 regular meeting, Kevin Stiff — who led the HOTs before taking the coordinator’s position — added that the case managers with the HOTs recorded contacts with 1,429 individuals in 2018. 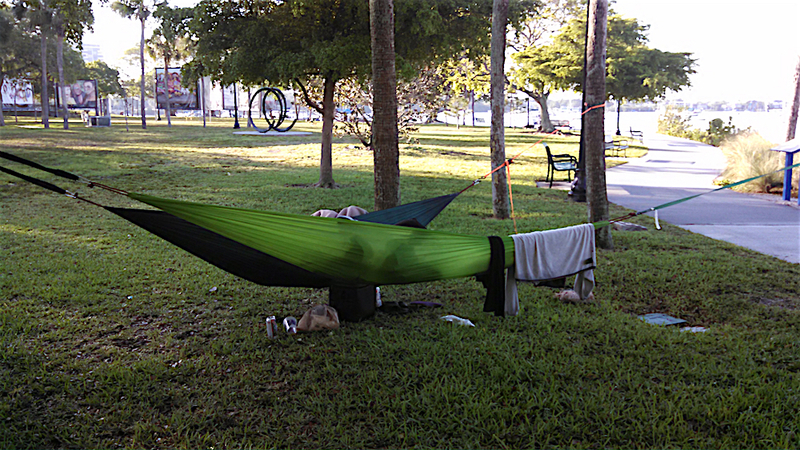 The annual report on homelessness in the city, which Stiff had submitted to Deputy City Manager Marlon Brown on Feb. 25 explained that the city has two HOTs, with one case manager and one police officer assigned to each. They conduct outreach on Tuesday, Wednesday and Thursday of each week. Frequently, the report added, the HOT members are joined by representatives of other social service organizations. 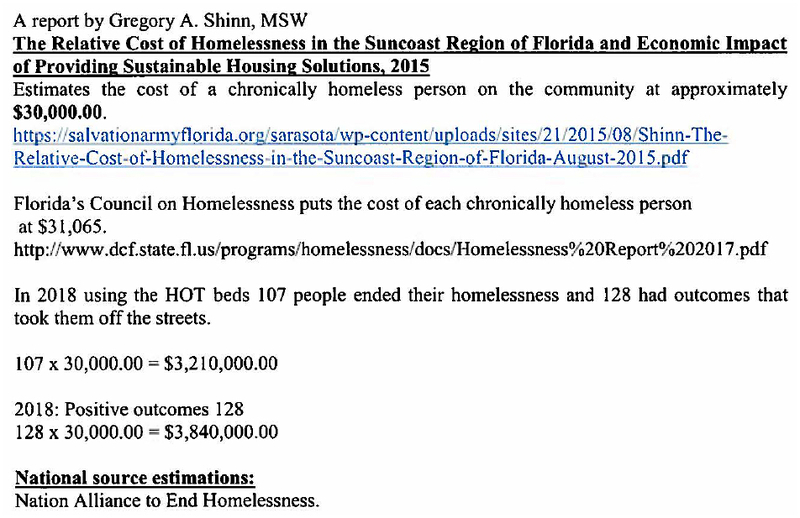 Two years ago, Stiff reminded the city commissioners on April 1, Susan Pourciau of the Florida Housing Coalition delivered to them the results of an in-depth study on how best to address homelessness in the city and the unincorporated areas of Sarasota County. One of her recommendations, he continued, was for city staff to work closely with the Suncoast Partnership to End Homelessness, the nonprofit that serves as the lead agency for the Continuum of Care in Sarasota and Manatee counties. In the latter capacity, the Partnership oversees efforts to assist homeless people in getting the services they need to cease living on the streets. As a result, Stiff continued, he and City Manager Tom Barwin serve on the Leadership Board for the Continuum of Care, and they have almost weekly conversations with Ed DeMarco, CEO of the Suncoast Partnership. 684 homeless people agreed to be transported to the Salvation Army facility on 10thStreet for emergency shelter. The median length of stay in a HOT bed was nine days. Of the 296 individuals who used the HOT beds, Stiff told the commissioners, 66 went into permanent housing through what is called a “Rapid Re-Housing” project. 41 clients went indirectly into housing after using the HOT beds. Altogether 36% of the people the HOT members worked with received housing. 43% of all the homeless individuals contacted by HOT members had positive outcomes. “The most important thing to understand,” Stiff stressed, is that the HOT members “only work with long-term and chronically homeless individuals,” who generally are considered the most difficult to house. When Commissioner Hagen Brody asked whether Stiff or DeMarco had any details about whether the people aided by the HOTs are long-time city residents or transients, DeMarco explained that when the Partnership conducts the annual Point-in-Time count of homeless people in the county — as mandated by the U.S. Department of Housing and Urban Development (HUD) — it also asks each person questions on a survey. One of those questions, DeMarco added, is where the person was a year ago. “It’s been pretty consistent” over the years, he continued, that 15% to 20% of the people interviewed “have come from somewhere else. The chronically homeless, he continued, do not have resources to enable them to get off the streets. Stiff pointed out that a coordinated entry system fully implemented in the community in 2017 tracks information about every homeless person who receives help in Sarasota and Manatee counties. One question in the registration process for that system, he said, focuses on how long the person has been homeless. Those who are more recently homeless “score very low” in that assessment, Stiff added. The people who have been on the streets the longest, he continued, have top priority for community resources to assist them. DeMarco told the board that about six months ago, in one week, four people with a combined total of more than 30 years on the streets of Sarasota finally were able to get into housing. Stiff also explained that it takes about $7,500 to $10,000 a year to house someone who had been homeless in facilities that receive HUD support. After the first year, the person becomes responsible for paying for the housing, he said. 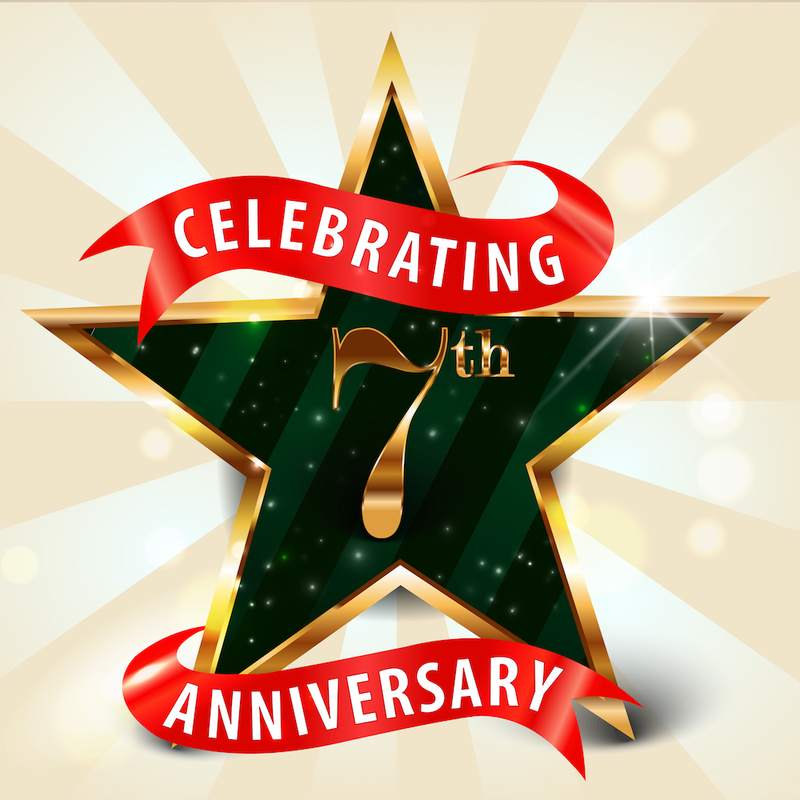 In response to a question from Commissioner Shelli Freeland Eddie, Stiff cited “affordable housing” as the primary reason it took an average of 57 days in the 2018 fiscal year for a person to enter Rapid Re-Housing after being registered for such assistance. Case managers work with individuals to identify all possible income sources, including Social Security and other benefits the homeless person may not be receiving, to cover the cost of housing after the first year, DeMarco noted. And Stiff emphasized that when he had talked of the expense of $750 to $1,000, that has to include water and utilities. The Suncoast Partnership and the Salvation Army both have one employee on staff, Stiff said, who does nothing but try to locate affordable housing units. The Partnership has applied for a grant to enable it to work on nailing down benefits information, DeMarco added. Having more agencies that can handle that work would be very helpful, he said. If an individual who has received housing cannot pay for it after the first year, Stiff stressed, that person will end up homeless again. Case managers do work with the individuals, he continued, to help them become self-sustaining. People who have left the streets typically need guidance three months before they get housing and three months afterward, Stiff said. DeMarco also talked of the success of changing the approach to offering help to the homeless. When he became the Partnership CEO in April 2017, he explained, representatives of social service agencies would ask a person on the street if the individual wanted help. “No, no, no, no,” was the answer, DeMarco continued. He credited Pourciau of the Florida Housing Coalition with suggesting that modified approach. The goal is to give individuals another opportunity to accept assistance, Stiff explained. However, he pointed out, those who continue to break the law will end up with what Commissioner Brody earlier characterized as “a stick” instead of the proverbial carrot. 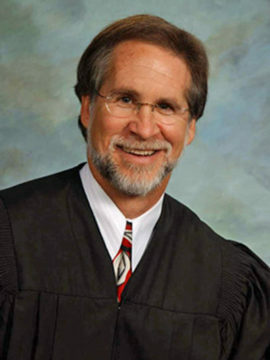 Brody said he had spoken with County Judge David Denkin about the new court, as Denkin is presiding over it. “I’m optimistic about it,” Brody added. “We need to make sure that we have a penalty system that is effective,” Brody pointed out. “I agree with you 100%,” Stiff replied.